When it comes to holistic healing, the premise is generally that one looks at the entire person, rather than just the area that is in pain. Many chiropractors are choosing to incorporate “applied kinesiology” to gain greater sensitivity to the body and its often hidden messages. Often combining this with chiropractic manipulation can mean the difference between taking care of the root of the problem versus just treating the symptoms. The spinal column is one of the most crucial areas when it comes to the health of the entire nervous system. When it is confronted with an interference of any kind, the body’s natural defenses will tend to lower, which means we might start to feel discomfort, pain, and even illness. By adjusting the spine to remove subluxations, normal nerve function will usually return as the body relaxes into a more natural state. Applying the principals of kinesiology can be an extremely powerful way to help determine what’s going on inside the body in order to properly diagnose treatment. 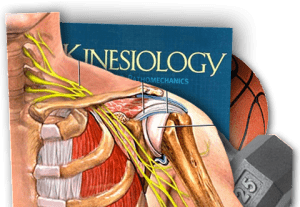 There are actually two aspects to kinesiology, the first is that it is the study of how we move in order to understand our physical, mechanical, and psychological states of being. Through this awareness, a doctor can find the best way to rehabilitate the body in order to eliminate stress and pain. The second aspect is known as “applied kinesiology,” which is a technique that helps to diagnose a problem through testing muscles surrounding a given area in order to determine weakness or strength. If, for example, there is a problem with a specific organ, there is usually a weakness in the corresponding muscle. By finding the weak muscle, a doctor can then decide upon the best type of treatment. Through strengthening weak muscles, the organs that have a direct relationship with them will often also get stronger. Applied kinesiology can also help determine if a particular food or nutrient will strengthen or weaken a patient. By the patient simply holding the substance in the hand and holding the arm in a fixed position, the healer can try to push the arm out of position, observing the level of resistance from the patient in order to determine the level of internal balance or imbalance regarding the substance. The idea that muscle weakness is often caused by a disruption of energy flow in the body is a fundamental principal in using applied kinesiology as a healing protocol. By testing the body in this way, a doctor can assess such things as damage to the nerves, chemical imbalances, glandular problems, a poorly functioning lymphatic system, and more. Using this technique, a person can also be tested for food and environmental sensitivities. For more information on applied kinesiology, chiropractic, and other healing protocols, please contact us through our online form or call (610) 896-1554.